As a single man looking for single Kenyan women online, of course, you would want to feel comfortable in a place where profiles are real, the site is user-friendly, has all the features you need to interact with people without paying more than what you should be, and could easily be used either on your computer to your smartphone. Before we go over to the main thing about this article which is the guide for single guys like you on how to date Kenyan women, appreciate their qualities and realize that you’re about to be the luckiest guy on earth. These qualities are always on the top of a man’s list whenever someone asks them about their ideal woman and we know that these are on the top of your ideal woman qualities too. All women are uniquely beautiful to one another. Every woman has their own unique qualities that make them stand out from the crowd. Kenyan women celebrities like Suyan Anyango, Serah Ndanu, Brenda Wairimu, and Prierra Makena are just some of the many beautiful Kenyan women who are the epitome of beauty and class. But beauty is not the only thing that they boast. Kenyan women are also smart and educated. 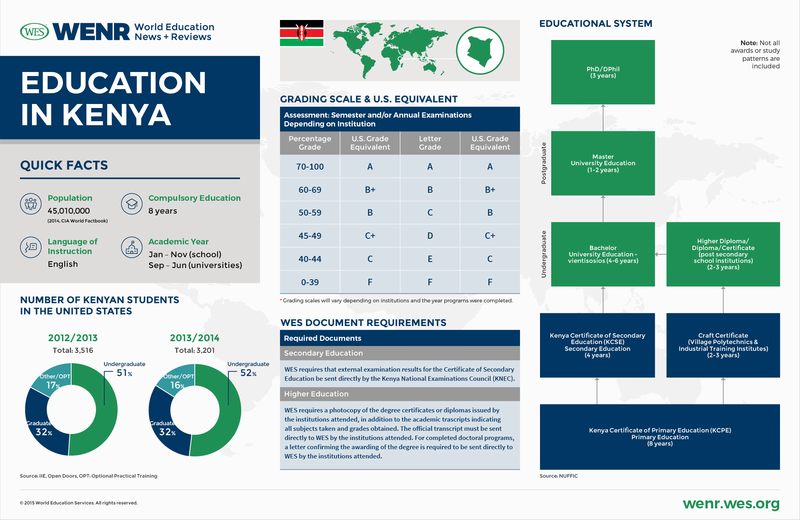 The university student population in Kenya grew by 28% and is continually growing every year. If you’re ever in doubt, take a look at this infographic. Oh, and did you also know that Nairobi, the capital city of Kenya is known as the smartest city in Africa for two consecutive years? Do you want to spend the rest of your life being with a beautiful woman who is family-oriented? Someone who respects you, her family and yours, and puts their needs as her first priority. This type of woman is actually not hard to find. You simply just have to know where to look. Don’t you just want to be with a partner who supports you and your dreams? A great woman whose dream is for you to achieve your goals as much as hers? Dating a Kenyan Woman is like that, only better. There is no perfect relationship, only a good and healthy one where there’s not only love but also support and from one another. Out of all the 54 countries in Africa, you chose Kenya as the location where you will find your ideal woman. Thankfully, you can get to meet and interact with hundreds of online Kenyan women every day on TrulyAfrican. Just keep reading and find out how. To start your online journey to love, you’ve got to have an account on TrulyAfrican. Creating your account is absolutely free so you’ve got nothing to lose if ever you decide that TrulyAfrican is not for you. Start with your email, password, name, age, gender, and country. Then you’re done! Congratulations! You’ve just made your first step to finding your ideal partner. Treat your profile as your ticket to a Kenyan woman’s heart. How can they know if you’re a compatible if they have no idea who you are aside from your profile name and gender? If your profile has details about you like photos, profile description, and a rundown of what you’re looking for, then you definitely have a higher chance of seeing more messages whenever you open your inbox from beautiful Kenyan women from beautiful Kenyan women. To add on, verifying your profile is also a good option. Profile verification is not required, but it’s recommended. You would feel more comfortable if you have proof that your matches are real, right? If your profile is good to go or you think it is, it’s time to go out there and start meeting online Kenyan women. If you see this one, you might feel pressured to answer everything in here. But you don’t have to do that unless you want to. Just focus on the important qualities you’re looking for. In this case, you’re searching for single women in Kenya. Simply do this and you’ll surely be hooked. In the event that you find the perfect girl through browsing or searching, don’t let this chance pass along to the next lucky guy. Reach out and prove to her that you’re the perfect guy for her! Kenyan women are the ideal women for you if you’re looking for a partner that’s beautiful inside and out, has strong family and religious values, and is loyal to you. To meet single Kenyans without booking a trip to Kenya, simply join the best African dating site, work on your profile, and search for the woman of your dreams. It may sound simple, but it would take effort and determination to make that special woman fall for you. It will be worth it though. If you get to spend the rest of your life with a great woman.